Mozart's unfinished Requiem has long been shrouded in mystery. 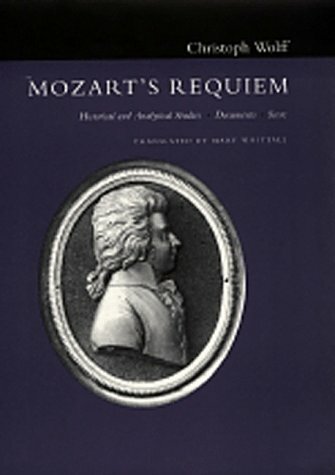 Mozart undertook the commission for an Austrian nobleman, little knowing that he was to write a requiem for himself. Inevitably, the secrecy surrounding the anonymous commission, the circumstances of Mozart's death, the unfinished state of the work, and its completion under the direction of Mozart's widow, Constanze, have precipitated two centuries of romantic speculation and scholarly controversy. Christoph Wolff provides a critical introduction to the Requiem in its many facets. Part I of his study focuses on the tangled genesis and completion of the work and its fascinating early reception history until Constanze's death. 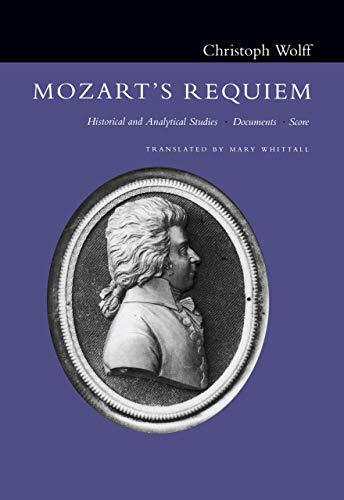 Wolff summarizes the current state of research on the subject, provides new perspectives on Mozart's conception of the whole work, and surveys his contributions to the movements composed posthumously by his assistant, Sussmayr. Part II provides a musical analysis of Mozart's composition, including contextual, structural, and interpretive aspects. Part III consists of an annotated collection of the principal literary documents (1791-1839) that illuminate the fascinating early history of the Requiem. The book concludes with a complete edition of the work that is at the center of Wolff's study, the authentic score of the Requiem--Mozart's fragment--supplemented by crucial excerpts from Sussmayr's 1792 Requiem completion.